This book focuses on recognition and its relation to religion and theology, in both systematic and historical dimensions. While existing research literature on recognition and contemporary recognition theory has been gradually growing since the early 1990s, certain gaps remain in the field covered so far. One of these is the multifaceted interaction between the phenomena of recognition and religion. Since recognition applies to persons, institutions, and normative entities like systems of beliefs, it also provides a very useful analytic and interpretative tool for studying religion. 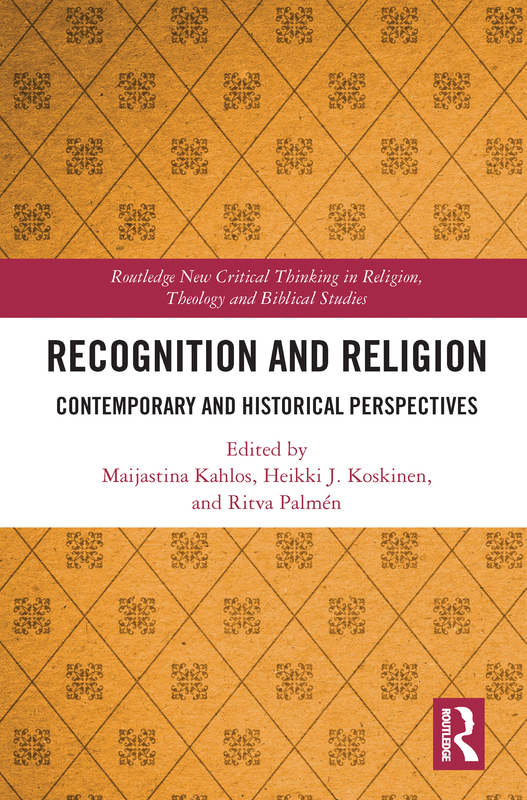 Divided into five sections, with chapters written by established scholars in their respective fields, the book explores the roots, history, and limits of recognition theory in the context of religious belief. Exploring early Christian and medieval sources on recognition and religion, it also offers contemporary applications of this underexplored combination. This is a timely book, as debates over religious identities, problematic forms of extremism and societal issues related with multiculturalism continue to dominate the media and politics. It will, therefore, be of great interest to scholars of recognition studies as well as religious studies, theology, philosophy, and religious and intellectual history.